Contemplating a self-drive tour? Next time you travel abroad, book these popular tourists’ destinations where you can drive on the left. Go someplace you’ve never been before, it will be good for your soul, is sound advice. Traveling provides us with new experiences. Travel also allows us to meet new people, immerse ourselves into diverse cultures, see new sights and eat and taste new foods. Travel has been life changing especially to first timers for different reasons. There are different ways to travel. 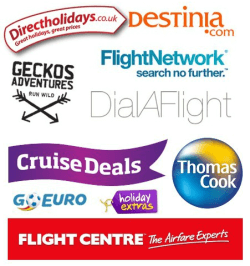 You can choose from package holidays, group tours, caravan/camper/RV road trip and the latest craze; self-drive tours. Lately, more than ever tourists favour the concept of self-drive tours. The freedom of exploring new places on their own pace, to stop when and where they want to and choose their destinations appeal to them more than guided tours which follows set itineraries and timetables. If you’re contemplating a self-drive tour for your next travel experience, best be prepared which of the popular tourist destinations where you can drive on the left. Tourists who would wish to take a self-drive tour in India are required to get an International Driver’s License from authorized transportation department/division of your own country before you come. But you may have to research about India traffic thoroughly before booking a self-drive tour. Traffic in India requires more patience and experience than skills. Your reflexes must be top-notch to get around the diverse pedestrians and vehicles congregating on the road. At best the traffic in India is described as chaotic, at worst it is wild. Even the countryside road has crazy traffic, and cows must be given priority of passage. You will not enjoy the excursion, and what’s worse you will not accomplish much of your target destinations. It you want a self-drive tour in India it’s best that you hire a driver. However, the sights India has in store for you will more than make up for the stress on the way. Drive from Visakhapatnam down to Araku Valley and witness the union of the breath-taking Bay of Bengal and the pristine charm of the Eastern Ghats while gliding down the gently elevated, curved roads beneath the shadow of serene hills. Or you can take the road from Manali to Leh on an open jeep, which is one of the most gut-wrenching highways in India with all its snowy splendour. You can also head out to Lonavala by taking the route via Pune to Mumbai, while feasting your eyes on the picturesque backdrop complete with lush green foliage and pretty flora. Like other countries colonized by the British, Cyprus is one of the European destinations where you can drive on the left. Likewise, most road signs are familiar. The best part with a self-drive tour in Cyprus is you accomplish what you came to achieve. Enjoy all the benefits of a self-drive tour by taking a four-wheel drive car to get the better of a solitary tour starting with the dramatic view of the Avagas gorge all the way to the awe-inspiring mythical Baths of Aphrodite in the Akamas Penninsula. Unlike India, traffic in Cyprus is relatively tame. You will enjoy the self-drive tour as you envisioned it. Explore the town of Lefkosia and Lefkosa with its jumble of medieval churches and Ottoman Mosques through their constricted road lanes pressed on both side by remnants of Venetian walls. You can also enjoy the lonely beaches of the Kirpasa Peninsula in late summer. And in between civilization you may stumble into patches of wilderness. The benefits of hiring a car is that you can rent a villa in Cyprus in a remote and tourist-free area and you don’t have to worry about getting taxis everywhere. Spend some time in one of the many sleepy villages, where everything seems to have slowed down, even time. You can choose between the modern rural charm of Apokryfo or the sepia alleys of Lofou. Driving in Jamaica poses a different hazard than India. In Jamaica the traffic is not the issue you should be wary of. It’s the rules, which even for Jamaicans are still a bit confusing. And the roads are full of dangerous turns, curves and blind spots that some say driving in Jamaica even if you’re used to driving on the left can be a hair-raising experience. Make your holiday exploring Jamaica a bit more relaxing and hire a driver instead, so you can sit back and enjoy when you make your way from Negril to Ocho Rios which is the most popular route tourists take. In Jamaica you can explore the fort in Lucea, loll around Green Island and taste the jerk chicken that one restaurant there is famous for. Be sure to laze and sunbath at the popular Half Moon beach. The beauty of Jamaica is that along the routes there is always some gem that’ll catch your eyes. South Africa is one of the destinations where you can drive on the left on your, own but be mindful of restricted zones where wildlife is not yet that used to human traffic. Their most famous route is the Garden Route where you will be introduced to a diverse slice of coastal South Africa, the route is easy and the sights along the ways are amazing. Amble along from the Mossel Bay to Plettenberg Bay where the rugged coastline displays a wide array of scenic landscapes and breath-taking species of wildlife. Take your time and stretch your days to be able to enjoy the riveting natural scenery. Thailand may not be a former British colony. But surprise of all major surprises Thailand is one of the top destinations where you can drive on the left. Well when it comes to traffic Taiwan is one of the moderately tamed ones. In Taiwan the popular tourist’s destinations for self-drive tours are the route that follows the countryside and offer stops to explore a little of Thailand’s wilderness. In Northern Thailand there is Pai, which is a laid-back mountain village where the locals are friendly. You can also explore the islands of Koh Lanta which full of natural landscapes and sights to appease your yearning and come home full of the memories and experiences you have assembled. A self-drive tour is perfect when exploring Thailand’s enormous parks because it will offer you more options. Good collection!! The destination spots covered ancient as well as moderate vibes. This list sounds perfect for a wanderlust. You have included wonderful summer holidays destination. You have given the description so nicely. I love your blog and the content. Nice blog, this blog provide the more information. Thank you so much for sharing with us. Good post. Its very useful to everyone. Thanks for sharing such a amazing article with us. Driving need not be the chore that it has become for many of us as we struggle along stop-start commuter routes, or Britain’s overcrowded motorways. It can be a brilliant way to explore a landscape and enjoy the sights en route. To help inspire you, our experts have selected 10 of the best drives in Europe – from the Trollstigen, a short but superbly scenic stretch of mountain road in the Rauma region of Norway, to an 800-mile circumnavigation of Iceland.